Medium-deep saturated color. Somewhat restrained nose at first, but it opens as it sits, revealing scents of ripe black fruits, smoke, licorice, leather, and forest floor. There’s a tannic bite on entry, but plenty of rich fruit behind it. This is a dense, intense, complex, and very youthful wine. We are impressed by the velvety texture and uplifting acidity. The fruit keeps getting more and more attractive as it sits. Long, consistent finish. Obviously needs cellaring, but we were certainly off on a strong note. 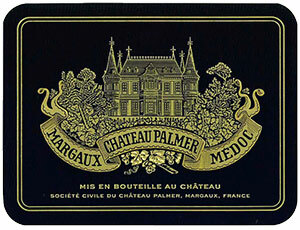 The 2008 Palmer, which tips the scales at 13.5% natural alcohol (among the highest achieved at this property), is a blend of 51% Merlot, 41% Cabernet Sauvignon, and 8% Petit Verdot. It is a massively rich wine with an inky/purple color, sensational density of fruit, velvety tannins, a glorious bouquet of black fruits, licorice, incense, and subtle barbecue smoke, a superb, full-bodied mouthfeel, and a fabulous texture and length. With several minutes of swirling, an enticing floral note emerges. The wine's glycerin and sweetness suggest it will be approachable 3-4 years after bottling, yet keep for three decades or more. It appears to be among the finest Palmers made this decade, rivaling both the 2005 and 2000.